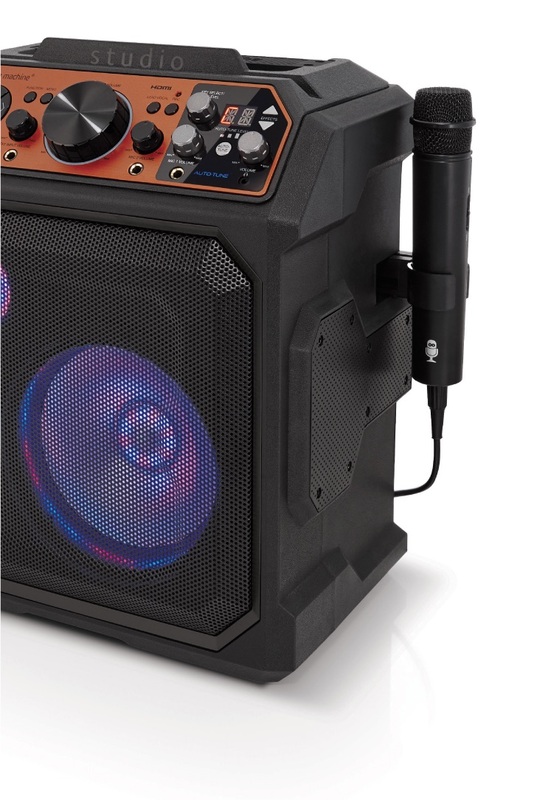 THE ONLY KARAOKE MACHINE TO INCLUDE OFFICIAL AUTO-TUNE® SOFTWARE. The Studio puts the power of music production in your hands. 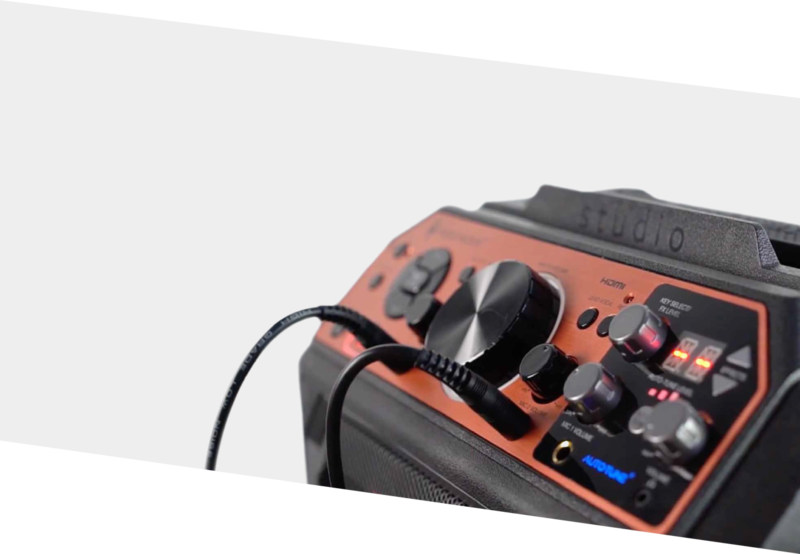 Equipped with official Auto-Tune®, easily experiment with effects, perfect your sound and control your musical destiny. 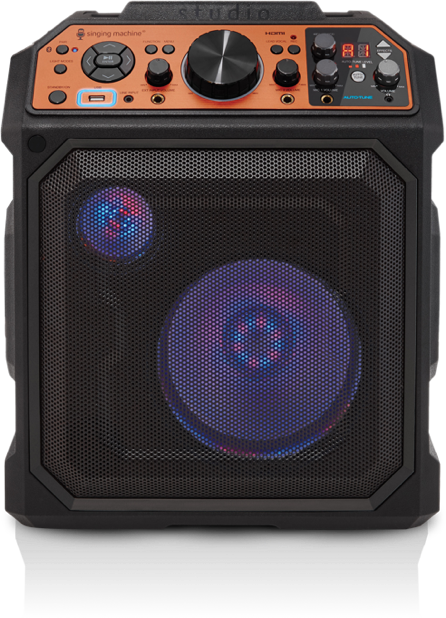 THE STUDIO PROVIDES BASS DROPPING BEATS AND A DYNAMIC FULL-RANGE SOUND. 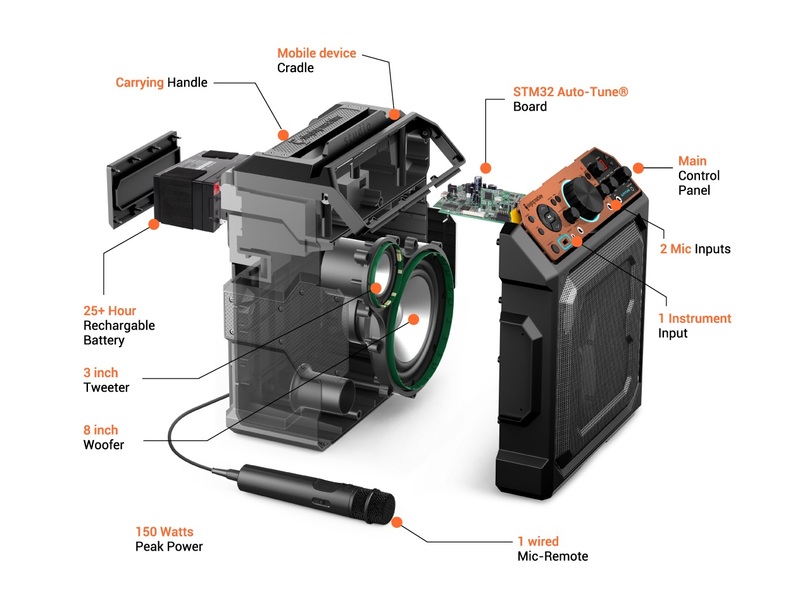 REVOLUTIONIZE YOUR SOUND WITH THESE KEY FEATURES. "I love using the Studio as an all-in-one tool. As a musician, I can practice with it and take it on the road with me." - Janie F. Fort Lauderdale, FL. "The Studio makes having Auto-Tune accessible. It's awesome that I can pitch correct my own vocals without needing a traditional studio." "I bought the Studio for my daughter to use during voice lessons. I can't believe how much she's improved from being able to practice more easily!" 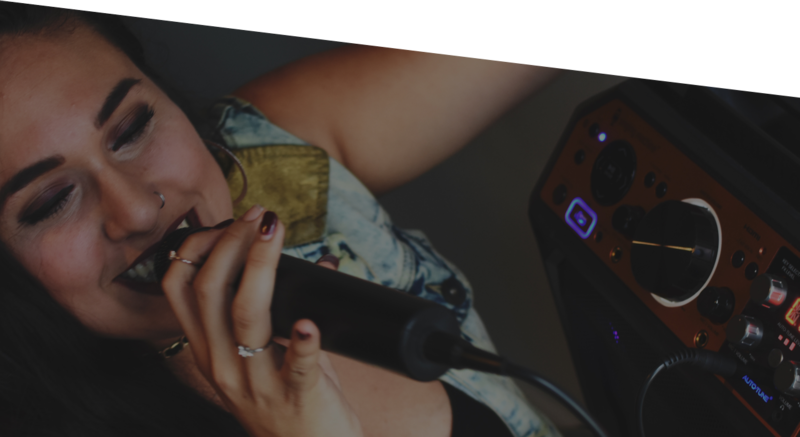 Used by music industry professionals for over 20 years, built in Auto-Tune ® software allows you to correct your pitch, as well as enhance your performance with 14 professionally engineered vocal effects. Customize your sound and performance for limitless creativity. 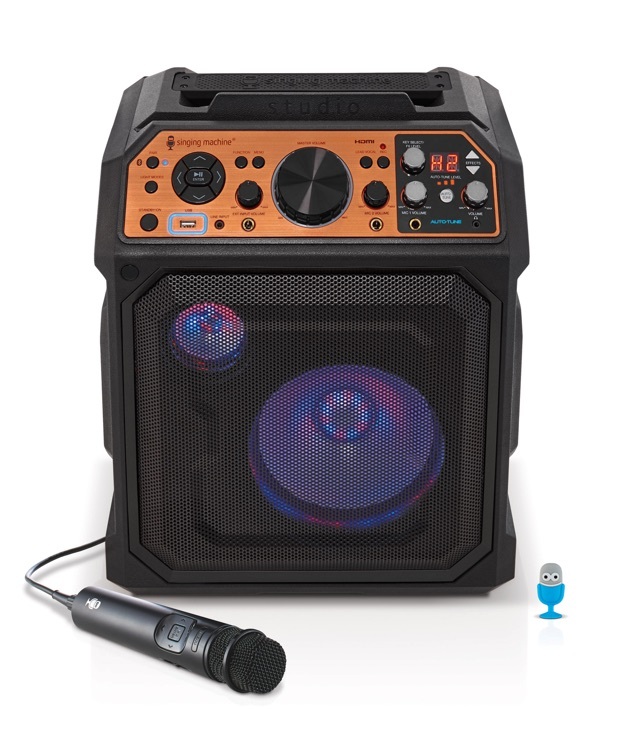 The Studio comes packed with features like a powerful Bluetooth® speaker that doubles as a PA system, rechargeable battery that lasts for over 25 hours, inputs for two mics with independent volume controls, and the ability to record all of your amazing-ness. 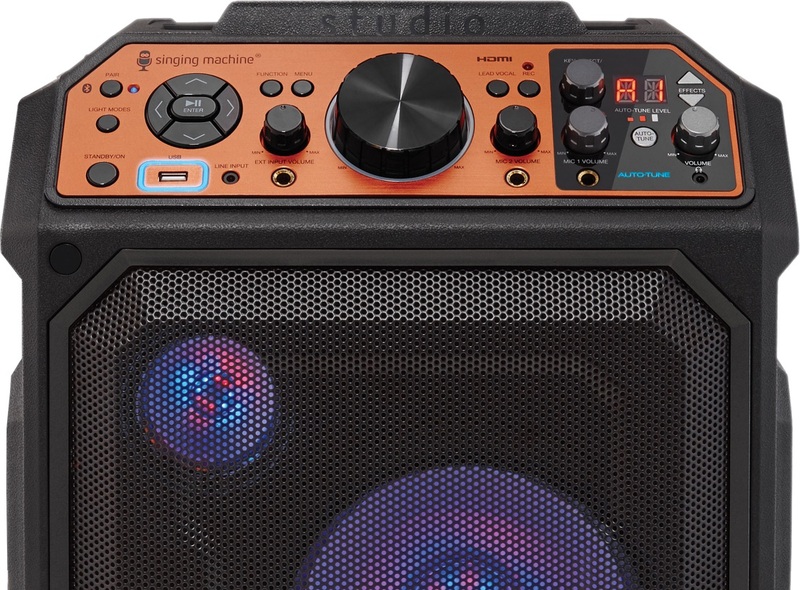 Turn your Studio into an amp by plugging in your guitar or preferred instrument. Let your music come to life with crisp, clear sound. 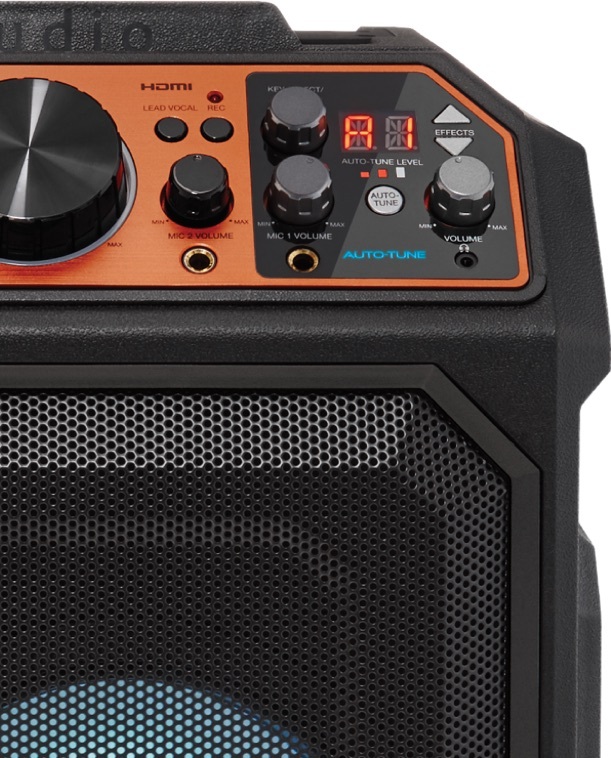 Turn your Studio into an amp by plugging in your guitar or keyboard. Let your music come to life with crisp, clear sound. 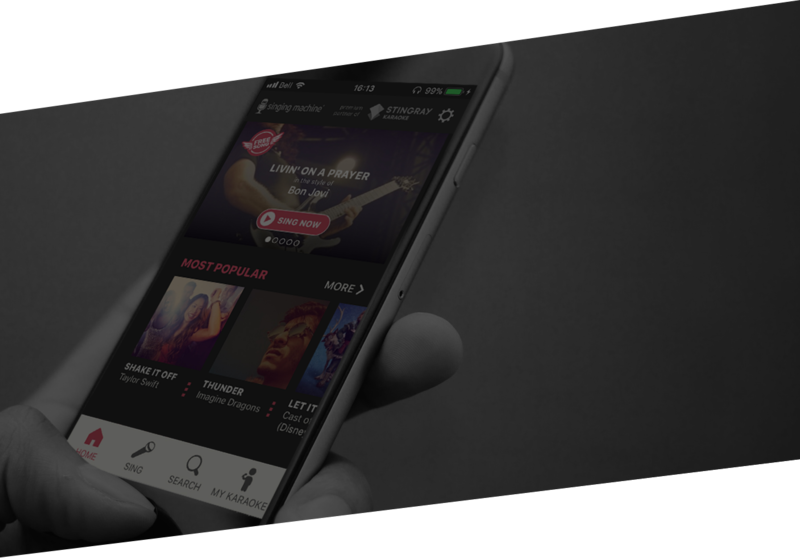 Easily access and stream over 14,000* full length karaoke songs using The Singing Machine Mobile App. Or download your favorites online at the karaoke library powered by Stingray Karaoke Preview. *Subscription required to access full library of songs on Singing Machine App. 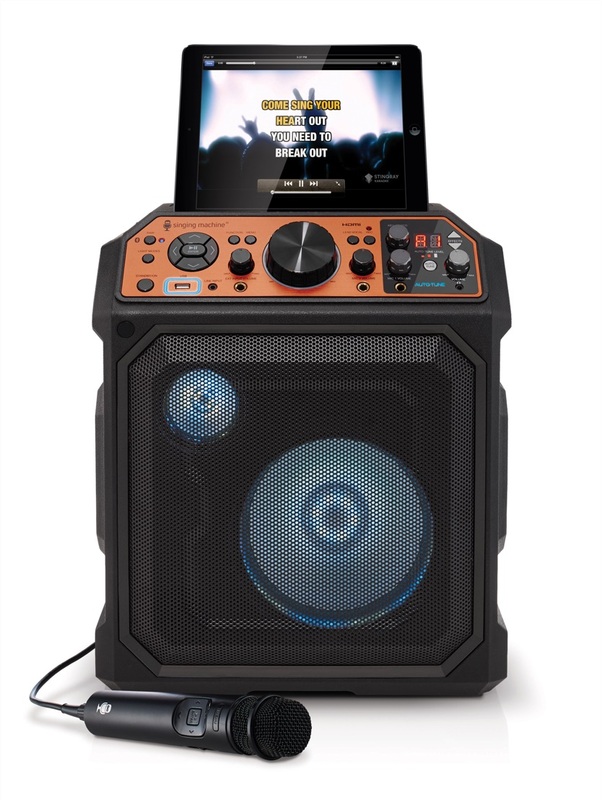 DON'T MISS THE NEXT GENERATION OF KARAOKE MACHINES. Copyright © 2018 The Singing Machine Company, Inc. All Rights Reserved.